Every time a celebrity dies from a prescription drug overdose or botched medical procedure, the first questions are understandably pointed at the medical professionals involved with the individual. Whereas there is no degree or certification that deems a doctor capable of dealing with celebrities, there is clearly a demand from celebrities needing physicians who can meet their unique needs. After Michael Jackson died, it was reported that his personal physician, Dr. Conrad Murray, had been providing Jackson with potent drugs normally used for surgical anesthesia. Why would a celebrity need a personal doctor? There are several reasons, including privacy. Most celebrities, especially those in the music business, are on the road more often than not, which involves lots of stressful days and encounters with germs of all sorts. Having a doctor on call 24/7 can help celebrities keep up with the busy demands of their workload. Furthermore, having privacy is key to most celebrities’ careers. After all, any celebrity who is revealed to have undergone certain plastic surgeries or to have taken certain medications is capable of being exposed and judged unreasonably. Personal doctors who cater to celebrities are aware of these risks and are willing to offer much-desired privacy for their patients. A quick search for celebrity doctors reveals many practices, particularly in Hollywood, that are designed with celebrity patients in mind. These offices offer concierge services, including 24/7 house calls, the ability to jet set to clients in a pinch, and room service–style prescription drug delivery. 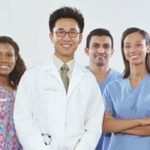 Whereas these doctors do not have any special licensure or degree in dealing with celebrities, their medical practices are tailored to those living in the celebrity world. As for the desire for physical improvements, plastic surgery is part and parcel for celebrities who need to maintain their image for their job. As a result, while commonplace medical procedures, such as vaccinations or mammograms, are important, for celebrities, they are more likely to also go to a doctor in need of specialized treatments. For celebrities who have millions of dollars at their disposal, there is no price too high when it comes to attaining good health or physical improvements. From prescription drugs for sleepless nights or anxiety to rhinoplasty or tummy tucks, celebrities are more likely to spend much more money on medical treatments than the average person. As a result, doctors who are working for celebrities are simply going to make more money. If money matters to a doctor, a celebrity patient may be the best kind of patient. Additionally, for celebrities who are interested in getting the best health care available, such as innovative treatments or procedures that are cost prohibitive to the general public, money is no object for the rich and famous. As such, it goes without saying that the wealthier a celebrity, the more likely he or she will be to have the best or most advanced medical care available. Conrad Murray. Biography website. http://www.biography.com/people/conrad-murray-481814. Jameson M. The cult of celebrity doctors. Los Angeles Times website. June 14, 2010. http://articles.latimes.com/2010/jun/14/health/la-he-celeb-docs-20100614. Top 25 celebrity doctors on Twitter worth following. Nurse Debbie blog. March 5, 2010. http://msndegree.net/2010/top-25-celebrity-doctors-on-twitter-worth-following/.